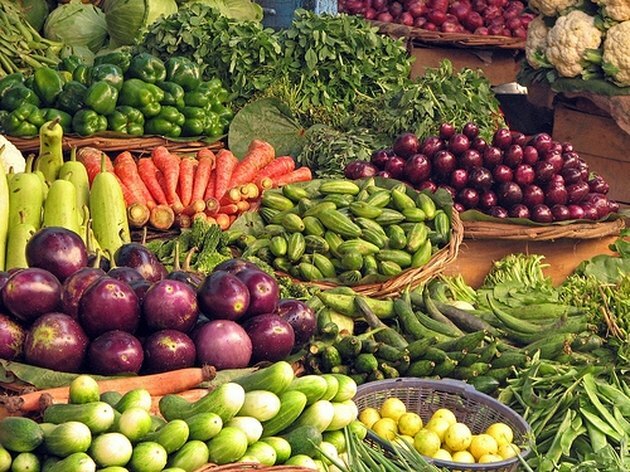 Vegetables grow at different rates depending on the type they are. Some will be ready to harvest within a month, while others will take more than a year to grow. The time spent growing your own vegetables is well worth it. Fresh, home-grown vegetables taste best and often are more nutritious than vegetables that have been shipped across the country and stored on a grocer's shelf. Whether you have a large garden, a small patch of ground in your back yard, or just a container on your patio, it's possible to grow your own vegetables. If you live in an area with a very short growing season, you may not be able to grow certain types of vegetables unless you have a greenhouse. by Svadilfari, Radishes grow quickly. 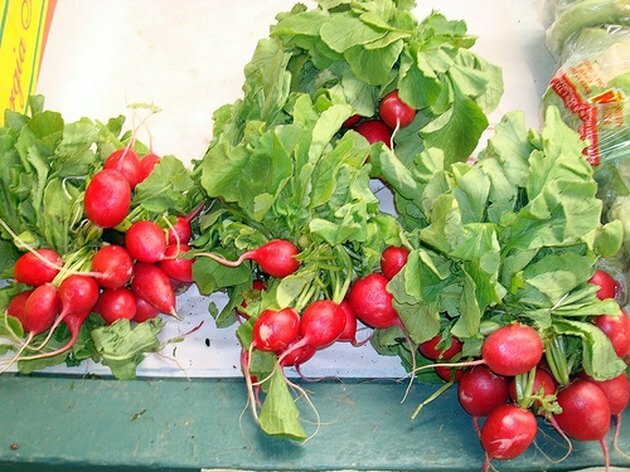 Radishes are grown from seed and are one of the easiest and fastest vegetables to grow. You can start them indoors in February or March and then put them in the garden when all danger of frost has passed. They will be ready to pick in about 30 days. You can even get a second harvest if you start your second set of seeds indoors in March and place them in the garden after you harvest the first bunch. There are many types of beans, but they basically all take approximately the same time to grow. Pole bean seeds can be planted directly in the garden around a pole or trellis in May in the northern gardening zones, and they will be ready to harvest in about 60 to 70 days. Bush beans should be planted in April or May and take the same 60 to 70 days. In warmer climates where you can plant a month earlier, offset a few rows by a few days so all your beans don't come in at once. 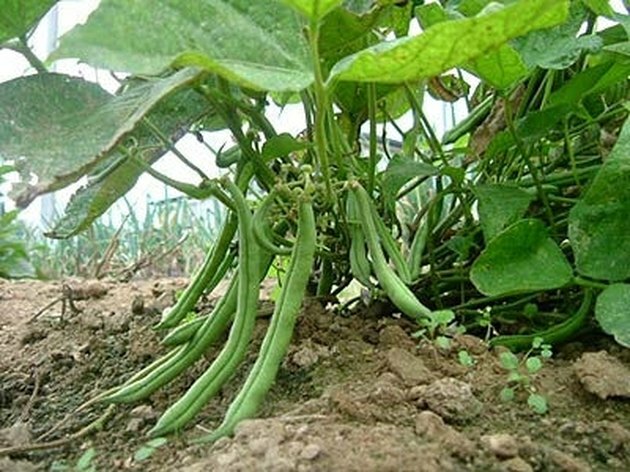 Once beans are harvested, the soil can be used for a fall crop. Beans are not cold-hardy and will not tolerate a frost. Other crops that grow in this time frame are onions and peas. Corn needs a lot of space and may not be suitable for all gardens. It should be planted in blocks of rows to ensure good pollination. 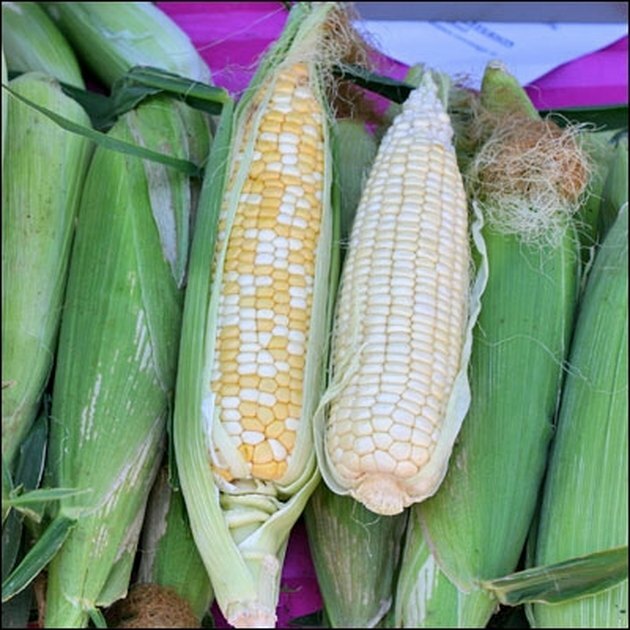 There are many varieties of corn and it will take between two to a little over three months to harvest, depending on the variety. Lettuce, spinach and some varieties of potatoes also take about two to three months to grow to maturity. 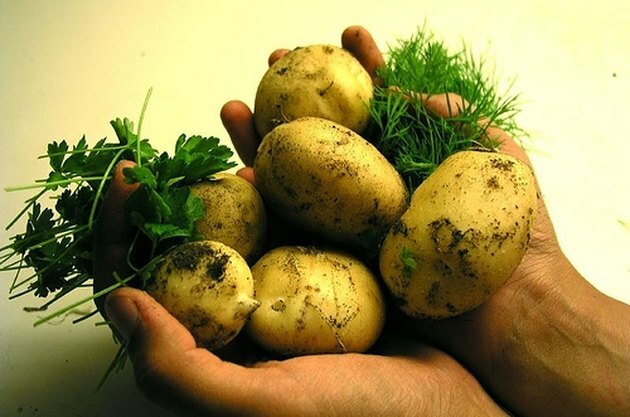 Potatoes are very easy vegetables to grow and you can grow them from the potatoes in your kitchen. There are many varieties, and each will be ready to harvest at different times. The main tip to follow when growing potatoes is not to allow the tuber to receive direct sunlight. The sun will cause it to turn green and you will have to throw it out because it will be poisonous. Early varieties will take as little as 70 days, while the mid and late varieties can take from 90 to 150 days before they are ready to dig. Check to see if they are ready by digging down to see how large the potato is without disturbing the roots. If it feels large enough, dig out only the number of potatoes that you need and allow the rest to grow until the entire plant dies down. Then harvest them all. Squash and tomatoes take about the same time to grow. 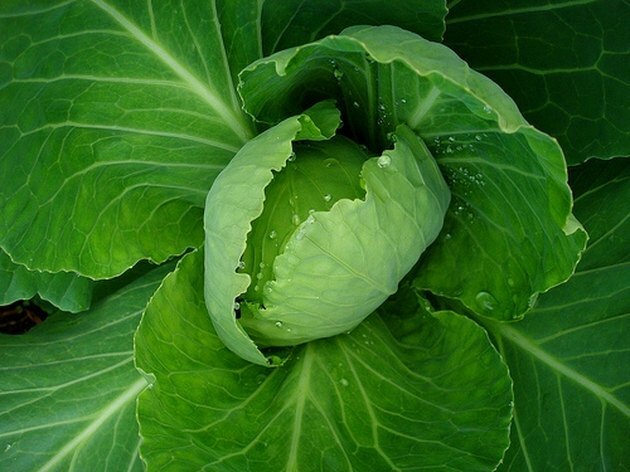 Cabbage, broccoli, peppers and eggplant take four to five months to grow to maturity. Cabbage and peppers, however, should be planted indoors a month or two before transplanting to the garden. Begin the seeds in February or March and place in the garden in May. Other vegetables that grow in this time frame are pumpkins and watermelons. by rust.bucket, Asparagas is easy to grow. Plant asparagus as soon as you can work the soil. You can grow asparagus by planting seed or roots, but roots will grow faster. 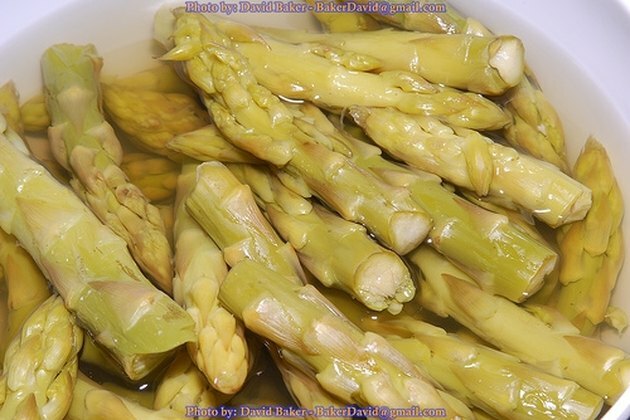 You should not harvest the asparagus until the second or even third spring after planting to allow the plant to get well established. Mulching in the late fall will protect the plant roots from frost heave and they will return without being replanted. Use compost when planting. As the plant grows, it will spread with new plants, so give it lots of room.